I love the knitted cast on for several reasons. First of all, it is how my grandmother taught me to cast on when I was a young girl and I can still see her steady hands guiding me through the process. I’m sure she chose this method because it is an easy cast on for beginners since it mimics the knit stitch. Secondly, unlike the long tail cast on, it requires no calculation of the tail length making it perfect for projects requiring many stitches. It is a loose cast making it suitable for afghans or scarves. I also use it when making a hemmed picot edge because the loopy edge makes for easy hemming. Give this cast on a try and maybe you can pass along your love of knitting to the next generation! Try watching my Dropped Stitch video for repair tips. I hope it helps! 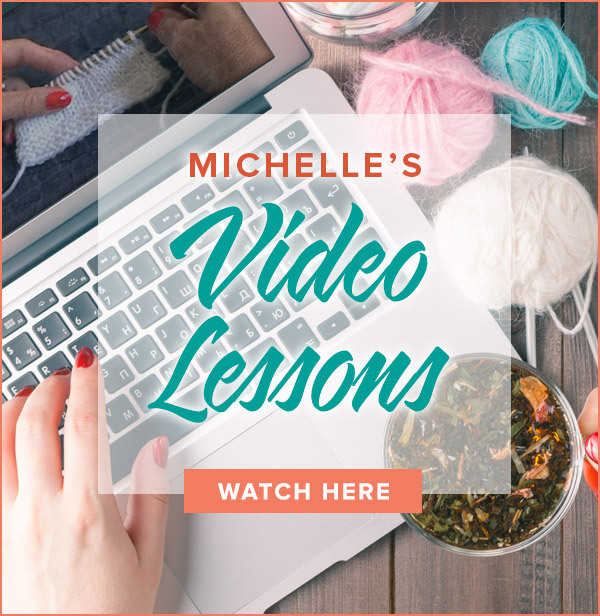 I recommend watching my Provisional Cast On video and Pick Up and Knit video. I think they will help you make an informed choice. I would also check out the pattern on Ravelry in the pattern’s project page to see how other knitters have handled the situation. Afghan directions call for casting on 400stitches placing markers 100stitches from each end so you can come back to knit in mitered squares later without seams. What cast on would you do? Provisional or otherwise? I am a new kniter and making a hat where you knit 2 purl two, i got to the end of the row and discovered I had dropped a stitch, I dont know how to recover it. Thanks for knitting Building Blocks with me! 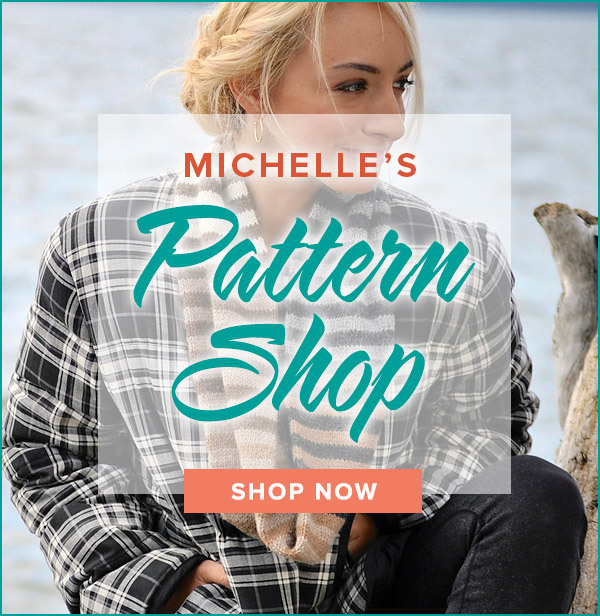 The knitted cast on is a loose cast on and if your shawl doesn’t need elasticity or firmness at the edge then this is the way to go. It is easy to cast on with two skeins using the Long Tail method. Make a slip knot with yarn form both skeins. It will be a slip knot with two strands. Use one skein for the yarn over the forefinger and one skein for the yarn over the thumb. Cast on as usual. At the end of the cast on, cut off one of the skeins. Treat the double stranded slip knot as one stitch. I love building blocks and am now on the last block. I will miss this project so I am about to start a wrap which calls for casting on 360 stitches. Do you think the knitted cast on is the way to go? Do you have a video on using two balls to cast on using the long tail method? I would use the cable cast on. Check out my video to learn how. Thank you for doing all these demonstrations!! They are so clear and precise!! I am currently working on a project and I need to add stitches at the end of 2 rows. Which cast on do I use? Sorry for the delayed response! In the cable cast on, the right hand needle is inserted BETWEEN the first and second stitch on the left hand needle. In the knitted cast on, the right hand needle is inserted INTO the first stitch on the right hand needle. It is a subtle difference but the cast on stitches are different. How is this different from the cable cast on? I keep watching these two videos and cannot see a difference. Please explain if I am missing something here. Thank you. It’s taken such dicipline for me to continue on Lacery before jumping in and doing the BEAUTIFUL edge for Flutter. Thanks a bunch! I haven’t finished the Lacery socks yet but want to do these cuffs tonight. I am really enjoying all the KALs. I just wish I knit faster and had smaller feet. =) It is a double curse to be a slow knitter with big boats for feet. My apologies! My videographer was correcting a typo in the title overnight so the video was temporarily made private. The video is up and once again public. I appreciate your patience. Also, thanks to Kim who spotted the typo! I do one version of the knitted cast on, so I wanted to check your video of the knitted cast on that you do to make sure that I’m doing mine the same way, however, the video is listed as “private”. How do I bypass this? I tried to watch this to start the KAL and got a message that it is private.